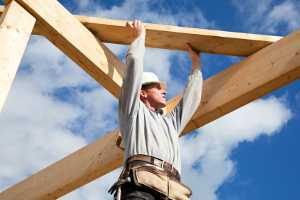 The risks associated with building your own home can be life-changing, and not in a good way. Both homeowners and builders have responsibilities to ensure the process goes smoothly, but it’s important to know what these are before signing off on a building contract. Here are five ways to manage the risks and play it safe. The first step in avoiding the risks of home building or completing renovations is to understand what they are. One of the most critical risks involves the health and safety of all the trades and tradies engaged with the project. Make sure you have a detailed list of all the contracts needed to complete the project, the key contacts, and know how to organise them all, so everyone turns up at the right time to do what needs to be done. Having electricians, plumbers, painters, and builders turn up too early or too late can be costly to the project, but early planning will help you streamline the project. Insurance is a necessary part of every home construction which can protect all parties concerned with the project. Building companies can go under at a moments notice, sometimes just minutes after you have injected tens of thousands of deposit dollars thinking you are keeping the ball rolling. In most cases, without insurance, the deposit money is irretrievably lost. Even if you have an iron-clad contract, you still shouldn’t hand over hundreds of thousands of dollars to a builder you don’t know. You should research the builder and find out if they hold the relevant tradie licensing and registration. You will further reduce your risk level by not handing over excessive deposit amounts for work which hasn’t yet been completed, or resources not yet delivered. It can be tough finding a builder you can trust, which only adds a lot more stress to the process. One of the best ways to know your builder is to go to a trusted source to find them. Tradebusters has contacts in every trade, who have proven themselves in the industry, with only reputable operators earning a place in their network. Reduce your exposure to risk by keeping yourself up-to-date with the state of the project. Produce and maintain checklists, meet with contractors such as painters and builders, and check on site to ensure the progress is on track. Project management is a daunting task for the inexperienced, so an experienced project manager will be an excellent addition to your team. Tradebusters also have listings for exemplary project managers operating in your area. Once plans have been made, and construction is underway it’s understandably difficult, if not impossible, to change direction part way through, at least without incurring significant extra costs. How much does the average home builder spend on upgrades? Are there any additional closing costs and if so how much? What do you get for the base price? Building a home in Sydney is not without its risk, but with planning and the right advice from sites like Tradebusters, most of the risks can be avoided. If you want to find a builder or any tradesmen to help you with your Sydney home build, why not let our free Tradebusters tradesmen concierge assist you. You can tell us about your Sydney builder or tradesmen needs right here and our team can connect you with skilled and recommended tradies for all your home improvement needs in Sydney, Melbourne, Brisbane, Perth or anywhere else in Australia.